The three artists whose work is shown in this room – Lenore Tawney, Olga de Amaral and Sheila Hicks – experimented with different weaving techniques, often looking to historical or indigenous textiles for inspiration. De Amaral and Hicks were particularly inspired by the technical brilliance of Peruvian weavings made before European colonisation. 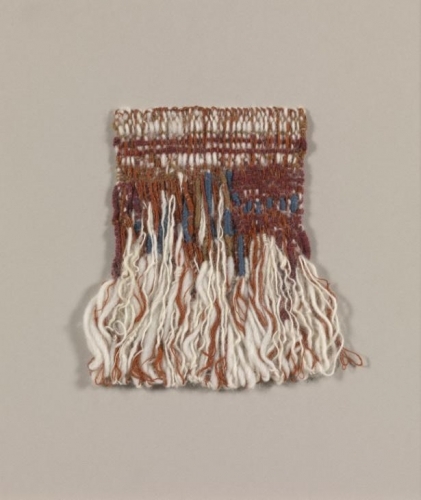 The 1960s saw several high-profile exhibitions of ‘fibre art’: textile techniques used to create unique art objects without a practical function. More information on one of the key exhibitions of the period is displayed in the showcase here. These attempted to collapse the hierarchy that sets fine art above craft. 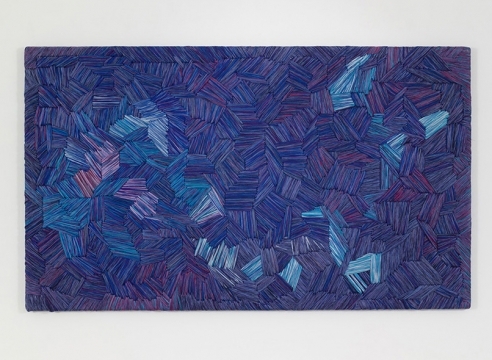 While this distinction has not entirely disappeared, in recent years fibre art has become a source of inspiration for a new generation of artists and curators and the artists displayed here are receiving fresh consideration.